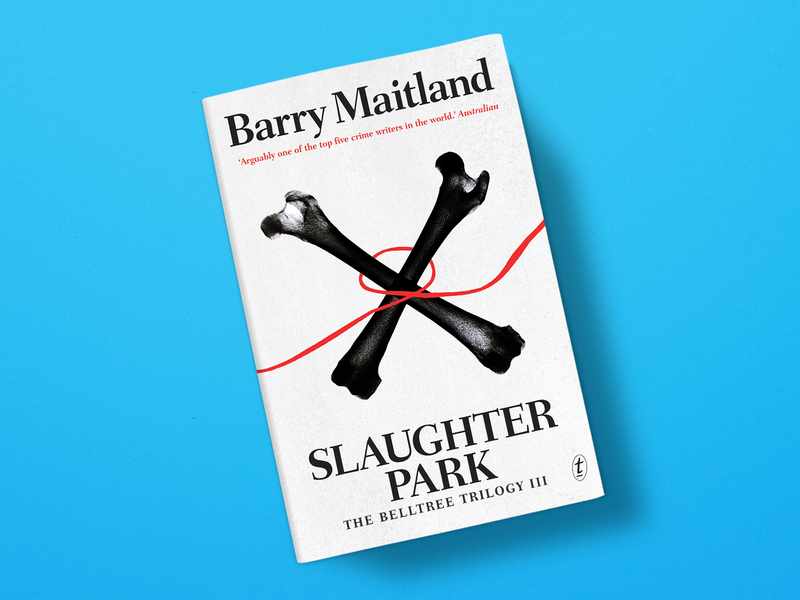 Slaughter Park is the third and final instalment in Barry Maitland’s Belltree Trilogy. Set in New South Wales, the trilogy was a much-awaited Australian-based addition to Maitland’s crime oeuvre following the success of the exceptional London-based Brock and Kolla series and standalone New Zealand-set Bright Air. If you’re new to the series, take my advice and begin at the beginning. This is not a trilogy that can be read out of order. There is no doubt that Maitland is one of Australia’s most skillful crime writers. His command of pace and careful selection of point-of-view reveal just enough to the reader to have us involved from the outset without giving away too much, and he adeptly avoids cliche at every turn. We first met Homicide Detective Harry Belltree in Crucifixion Creek following the stabbing murder of his brother-in-law. Mere pages later we were knee-deep in a mire of corporate and political corruption that advanced at such a pace that it seemed miraculous for both Harry and the reader to survive the experience! The narrative arc that spans the three novels begins here with Harry’s haunting suspicion that the car accident three years prior that killed his parents and blinded his wife, Jenny, was a deliberate act aimed at murdering his father, a judge of the New South Wales Supreme Court and Australia’s first indigenous member of the bench. For me, Crucifixion Creek was a 5-bone read (now’s a good time to check out my ratings system if you haven’t had a look already) - an absolutely belting read that presented us with three very different and compelling points of view in Harry, Jenny, and the enterprising crime reporter Kelly Pool. In Ash Island, Maitland took us north up the Pacific Highway to his adopted-home of the Hunter Valley, setting Harry’s next breathtaking investigation in Newcastle, where he had been posted to keep him from shaking the corrupt NSW Police tree. Contrary to most readers I found myself not reading the second book just to get to the third, but thoroughly enjoying Ash Island in its own right (perhaps even more so than Crucifixion Creek). The strength of this novel was the setting - as an absolute sucker for a strong sense of place I loved the sense of isolation on the muddy mangrove-lined Ash Island and the picture Maitland painted of a city built on the back of coal, copper and steel. Again we are guided through a clapping-paced tome by Harry, Jenny and Kelly Pool to learn that Harry's father was advising the Yoongooar people on a land claim at the time he was killed, compelling us to count down the days to the publication of the final instalment of the trilogy. The moral ambiguity of Ash Island places us in uncomfortable territory as readers, where is exactly where Maitland wants us. And so this brings us to Slaughter Park. 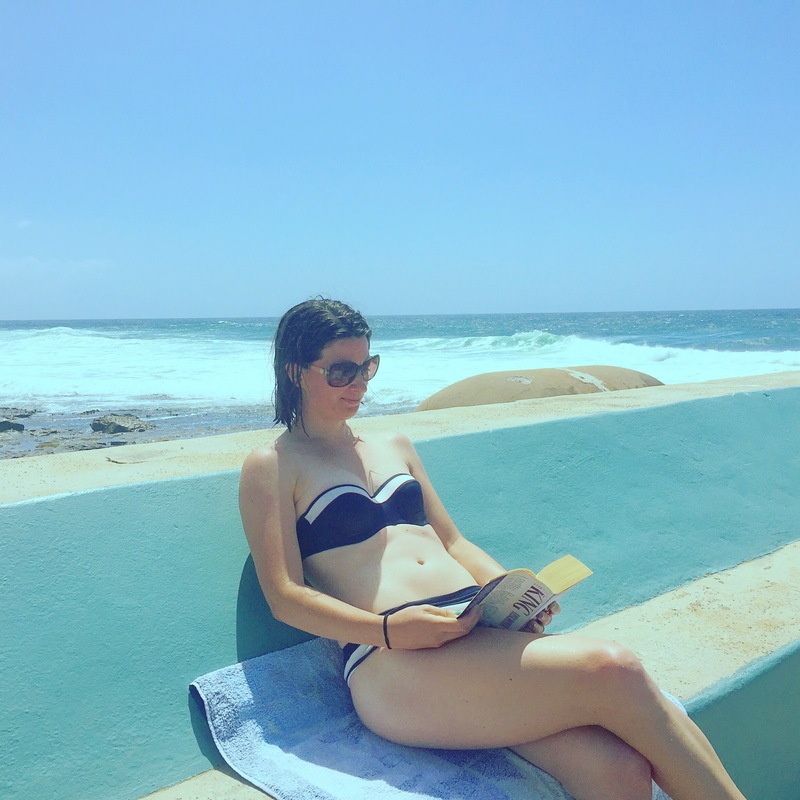 I’d saved this read for a coincidental trip to Newcastle, so as to feel part of the surrounds I was reading (pictured above: me quickly finishing off a Stephen King at the Newcastle Ocean Baths before getting stuck in). It was worth the wait, despite this novel being set mostly in Sydney - in fact, as we passed a straight of muddy mangroves on the trip back to Newcastle Airport I asked my Uber driver if Ash Island was in there somewhere (it was), based only on knowledge gleaned from the Belltree Trilogy. In Slaughter Park, Harry has lost everything there is to lose and is living in tropical obscurity somewhere in Queensland (which had me thinking of Tony Kavanagh’s Darian Richards series, which I’d happily recommend for decent Australian-series read). He is estranged from Jenny and exiled from the police force. What follows is an epic journey through the conspiracy of Harry’s father’s murder that takes us from tropical Queensland to Sydney, Vanuatu and the Hunter Valley. While Harry tracks down his missing wife (who is now suspected of the murder of a corporate activist), his former colleague Detective Inspector Deb Velasco is in charge of investigating a series dismembered corpses dumped in Sydney’s Slater Park. Exhausted from reading the summary? As was I reading the book, and this is where I felt Slaughter Park let me down. Where its predecessors were both 5-bone reads, so much was packed into the 368 pages of Slaughter Park that I could only throw it 4-bones. This is not to say that the third isn’t a great read - believe me, it is. But just so much was packed into this book that some aspects of the narrative that deserved more time were quickly skimmed over in the interests of keeping things moving. What exactly was Harry doing in Queensland? How did he find his hideout and who was he connected with there? Much of Jenny’s (very interesting) story felt as though it was told retrospectively through conversation with Harry, and at times Kelly Pool’s point of view seemed to exist only to take us to Harry. The addition of Deb Velasco’s point of view was great (she’s a character I really wanted to get into the head of from the beginning), but at times it felt like the titular Slaughter Park murders she was investigating were just a vehicle to get her behind the police line to bring us the information Harry was no longer privy to as a civilian. What does pay off, however, is the stunning conclusion to the trilogy’s overarching narrative arc, which presents us with an insightful comment on Australian history, past and present. This arc is something I’ve been thinking about at length long since putting down the book, which is the really the ultimate victory for a writer of any genre. 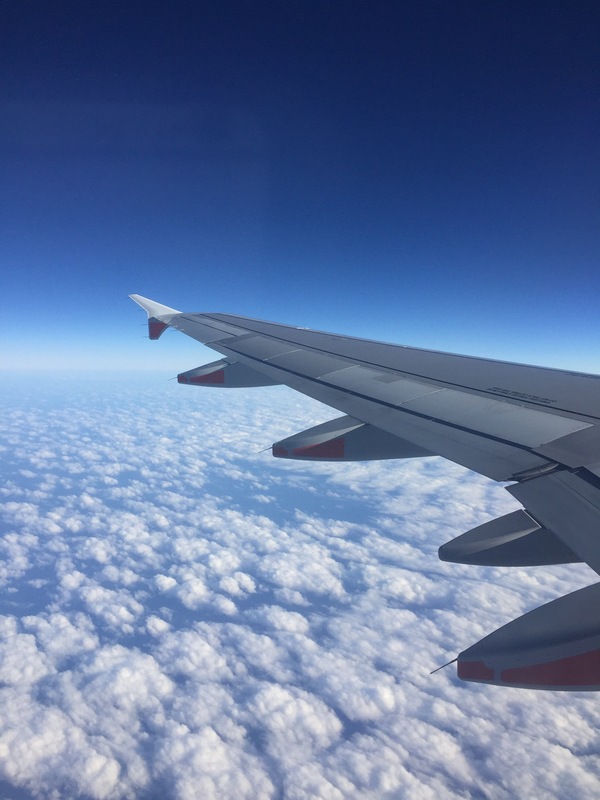 What I was left with in Newcastle Airport as I turned the final pages of Slaughter Park and waited for a delayed flight back to Melbourne was the feeling that Harry’s story deserved more than three books for its telling (pictured above: the view shortly after take-off). A series of 5 or 6 books would perhaps have done his journey better service, but I’m still not clear on whether I feel this way because I didn’t want the series to end or because the hurried complexity of Slaughter Park needed more real estate to be told in full. I’ll reserve judgement for a second-read of the trilogy as a whole.